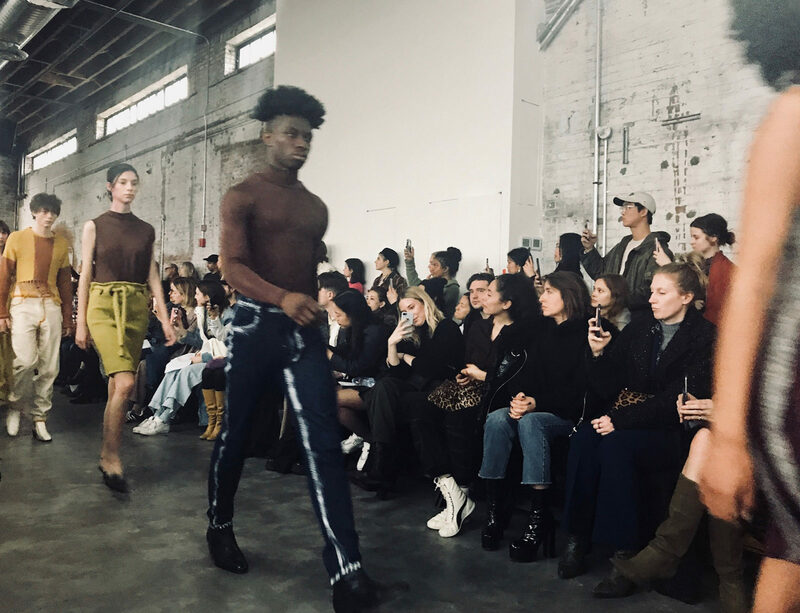 Ravelin covers the Eckhaus Latta show. Our thoughts and photos from Saturday’s show. 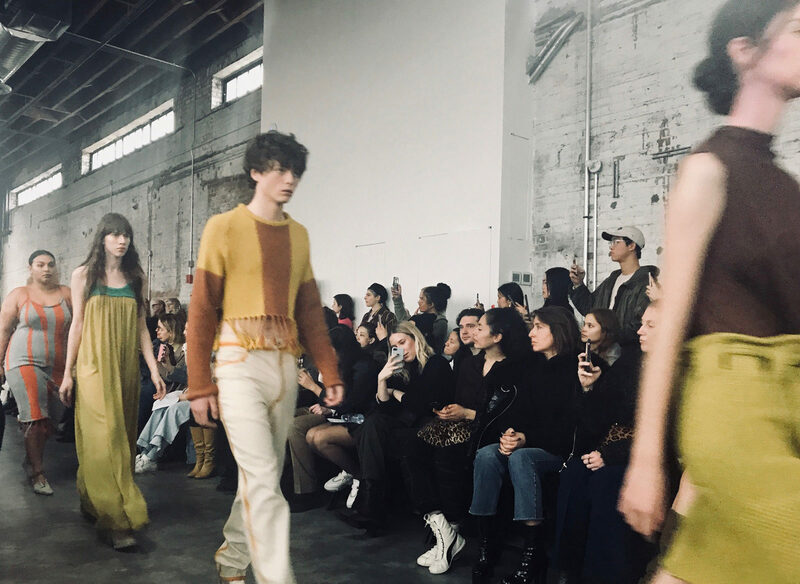 It’s no secret that we only cover shows that we really like, and Eckhaus Latta is certainly no exception. 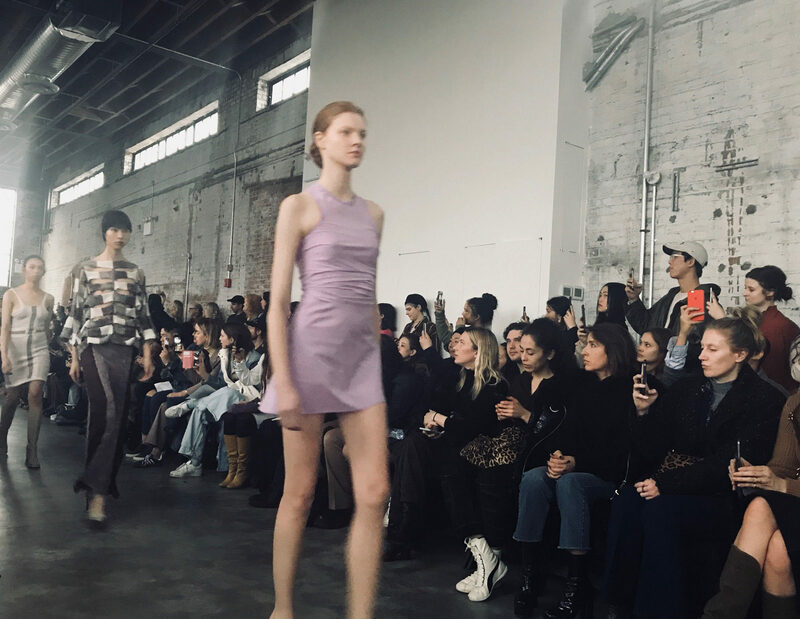 The clothing on display at their show Saturday opts for shape over drape. But it’s not a throwback to the ‘80s world of shoulder pads where aspects of the ideal body type were fetishized through over emphasis. Rather these shapes are concerned with design first. 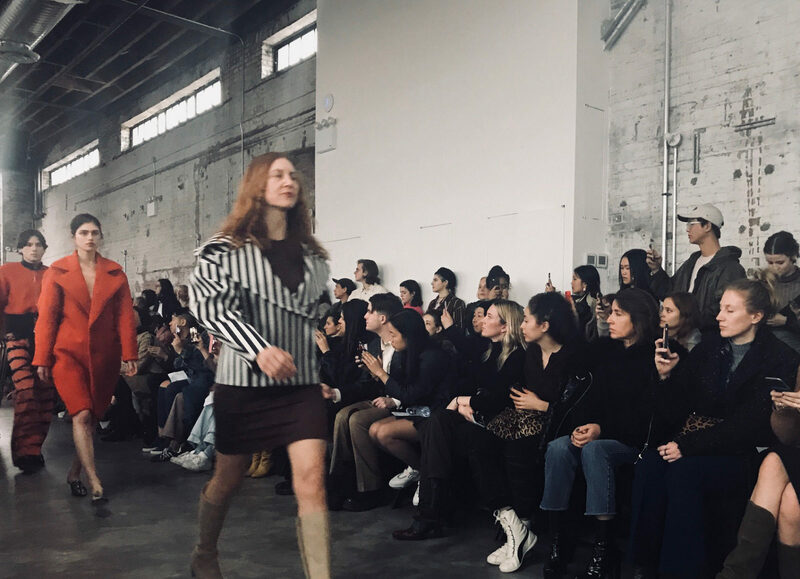 The shape of the jackets is both explored, and exploded, and also stretched to where the jacket begins to become a dress, questioning the boundaries that define and separate garment types. 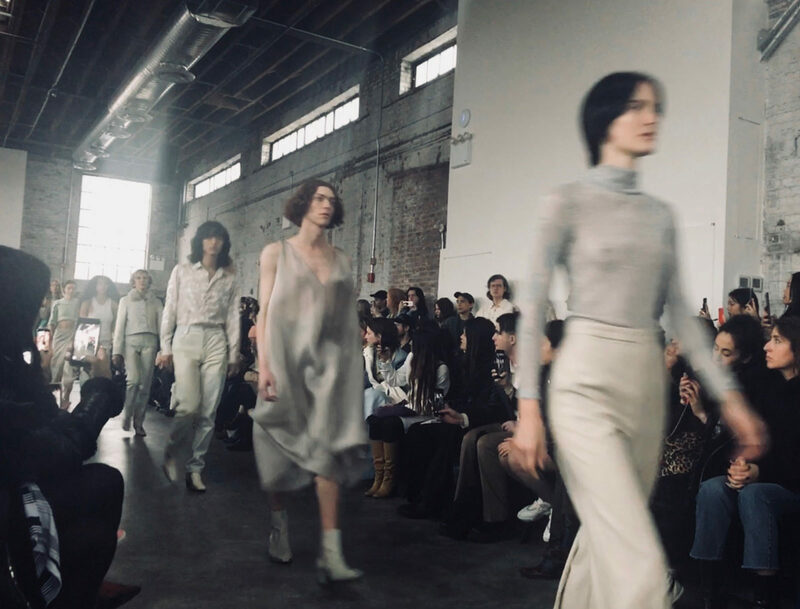 But don’t let my pretentious meditation on design-first shapes give you the wrong impression that these clothes are somehow lofty or too “architectural” to wear. 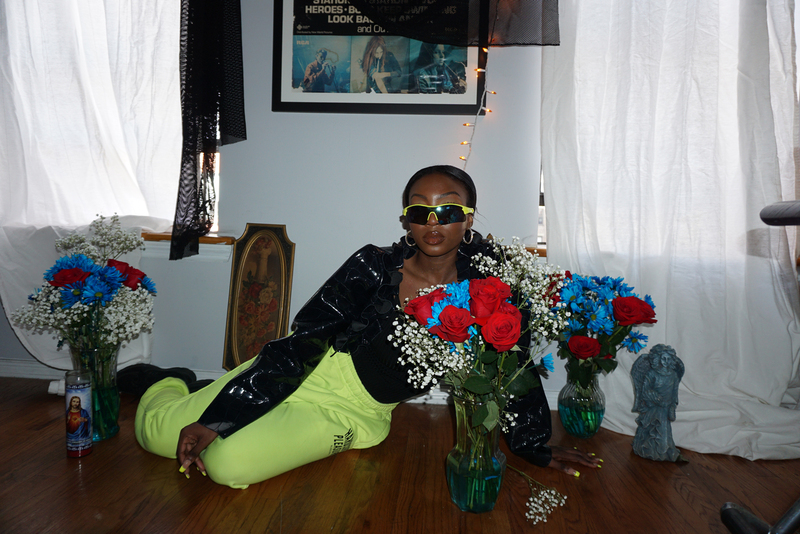 The thought that went into this collection is palpable, but the result is very approachable, one might even covetable. 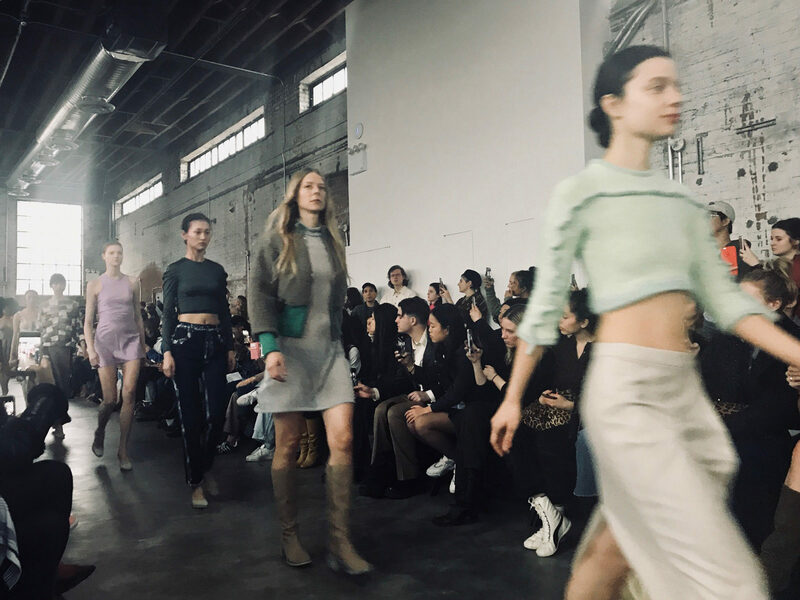 Mike Eckhaus and Zoe Latta after all run a store in East Hollywood that keeps them in direct touch with the customers who come in to buy and wear their clothes. 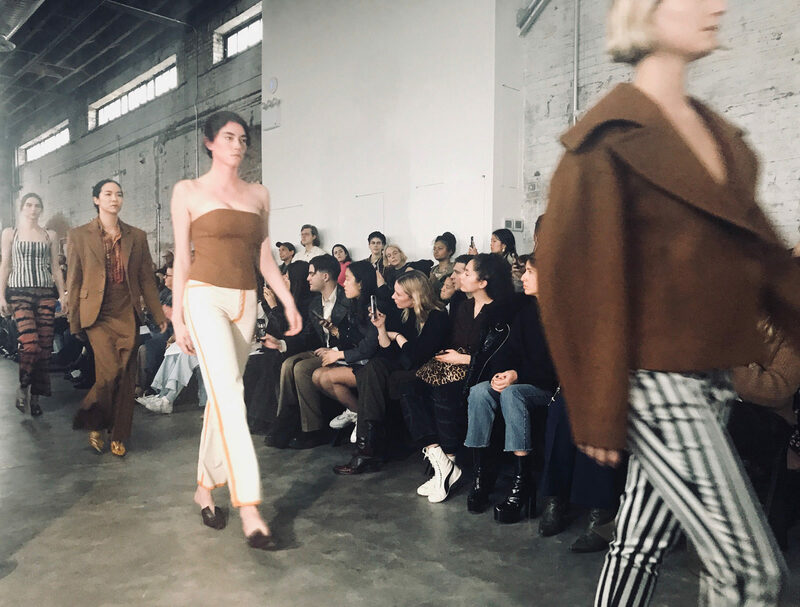 Until recently, I’d seen such customers wearing Eckhaus Latta jeans or their unmistakable knits, but this show adds a turn toward the formal. Although, again, there was no line drawn separating the casual from the formal looks. 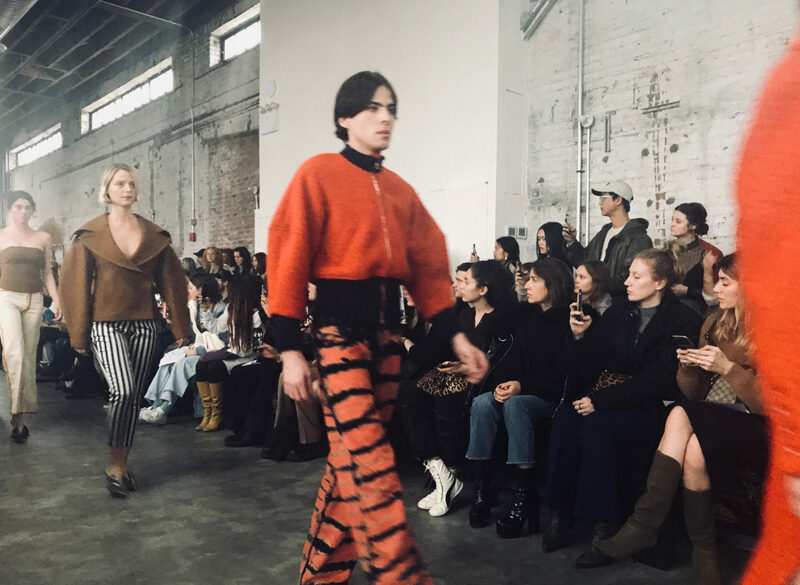 The looks assembled for the runway show were often playful with burst of avant garde touches, exactly the type of show you’d expect when it’s introduced with a charming poem that is set in part in a Cheesecake Factory. I suppose that’s postmodernism, but it feels like these designers get our contemporary moment too exactly right to be described with old terms for new things.